If you already own an AIM data logging system, the Smartycam HD can be integrated like the previous model but, with its built in accelerometers and GPS, it can also work as a standalone system. The camera comes in two configurations, one that looks very much like a large GoPro but encased in a metal shell and another, the Smartycam HD GP has a separate bullet cam for installation where space is at a premium. While they will not give you the same resolution as a GoPro and is more than twice the price, the SmartycamHD does overlay data onto the video in real time saving precious time in coaching sessions for example. As in the previous model overlayed graphics can be easily customized via software. 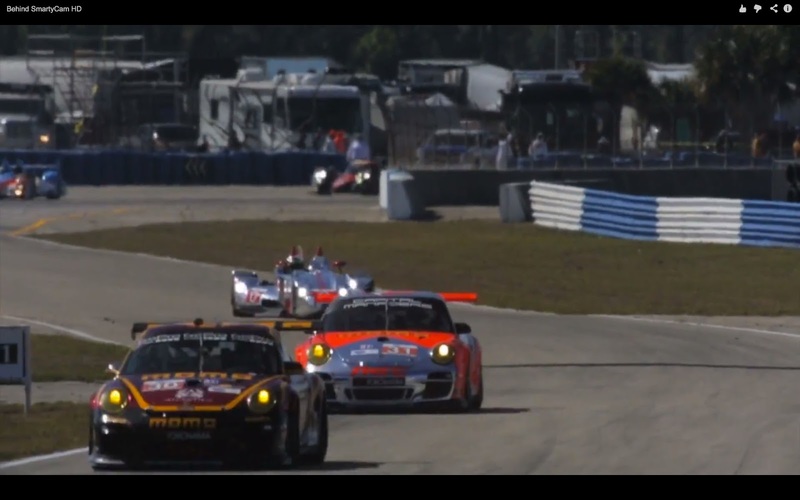 Of course, we like that in AIM's clips, you can catch glimpses of the Axis GT3 at Sebring!..